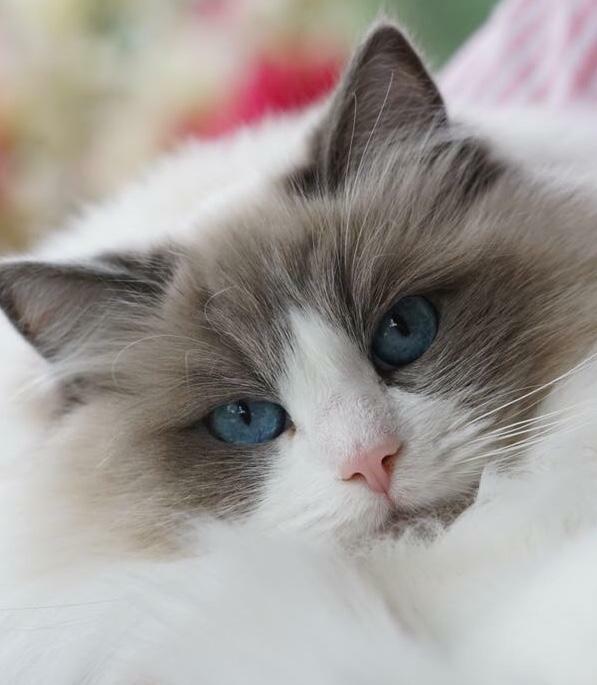 We are committed to breeding pure, beautiful and healthy Ragdolls, with the traditional Ragdoll traits including; big BLUE eyes & purfect loving temperaments. I am a boutique Ragdoll Breeder registered with Cats NSW INC, all cats are FREE of HCM & PKD, Clearance Certificates able to be viewed. 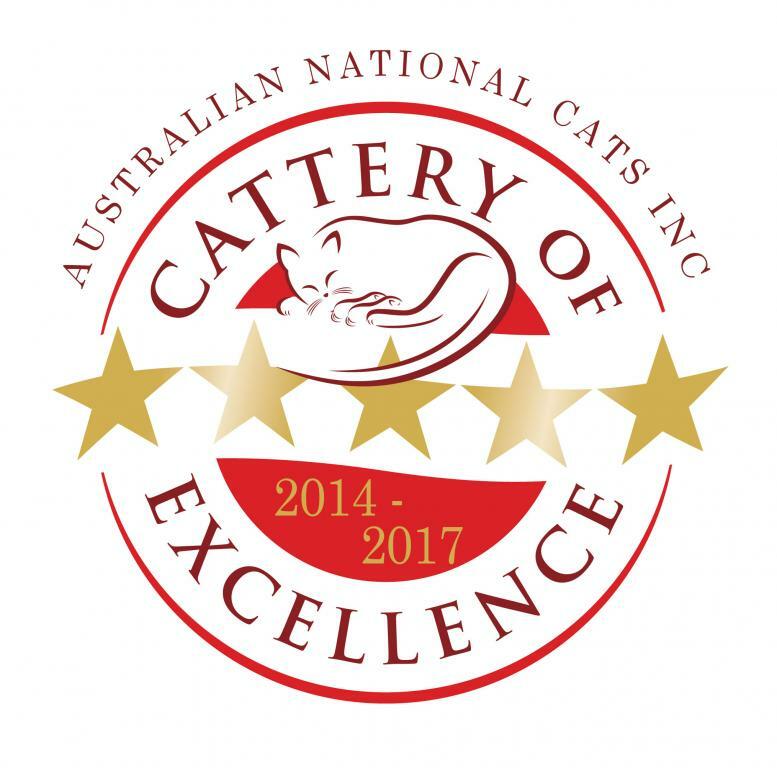 We have qualified as a "Cattery Of Excellence" with Australian National Cat Alliance - ANCATS 2014 to 2017. Hoping that Cat NSW will soon have a similar qualification. Our kittens are raised in our home. Which means they are raised around my husband and I and my entire family who visit weekly with their 6 children ranging from 3 to 15yrs, not to mention having our other pets which include our loving Border Collie and now a German Shepherd who just loves all our cats. So they are very well socialised and familiar with household noises like gardening machinery, music and dogs barking. We do not have our pets locked in confined cages. Our Ragdolls are STRICTLY indoor cats only. Registered with Cats NSW Inc.
Wormed and from a Flea free environment. Totally Litter Trained since 4-5 weeks old. Favourite toy or comfort blanket. ** I deliver all my Kittens personally to make sure they settle in to their new home. We breed for quality not quantity, so we may not have kittens all year round, but may know of a reputable Breeder who has. If you would like to enquire about our beautiful Ragdolls or would like to be put on our waiting list. To WAITLIST for my wonderful Ragdoll family with the view to adoption, please contact me via email, also provide your full name, contact phone number, suburb and a little about yourself and family. I will call you back to discuss further and to possibly organise a visit at my home. 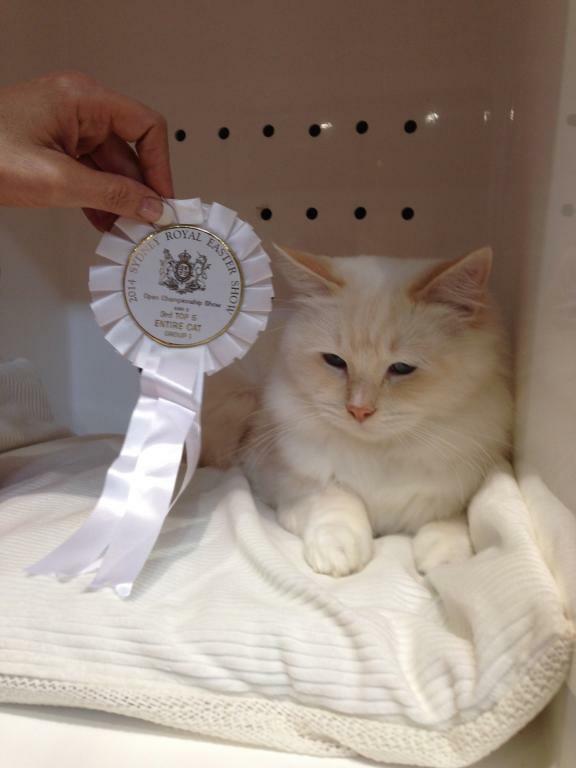 I have also been showing my cats and kittens since I started with my very first Ragdoll Branston in 2012, since then I have entered more of my cats and kittens and won numerous Supreme, Best Entire, Best Alter, Best Kitten, Best Litter, Best of Breed and 1st, 3rd 4th & 5th awards for Sydney Royal National Championships and ANCATS and now with Cats NSW Inc Cat shows. 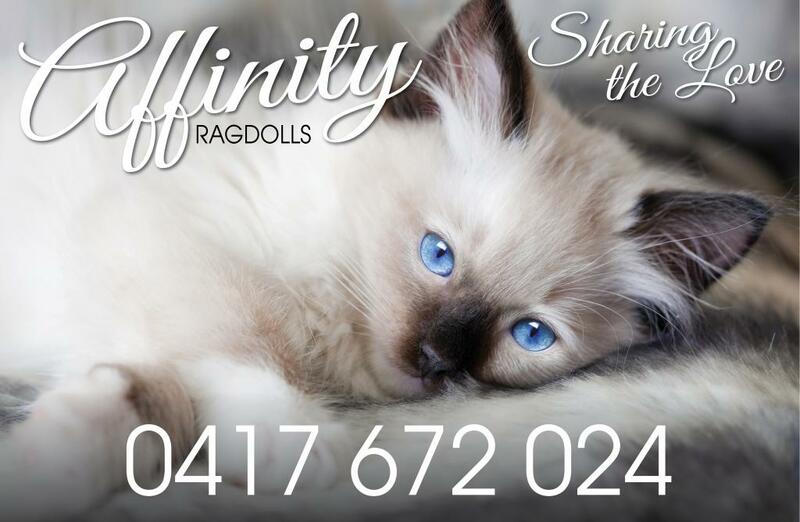 Why not have a look and "Like" my Facebook Page: Affinity Ragdolls and see for yourself how wonderful and loved my Ragdoll family are. OR for more information on our pure-bred Ragdolls call me today on 0417 672 024! Cattery Of Excellence 2014 to 2017 ANCATS. Volunteer "Hills Pet Buddies" for a 1st using my Ragdolls as "Therapy" for the Elderly and Children. Flash - Cream Point (from Tiffany & Tiga) Grayson Blue Point & Quinn - Seal Point and Sebastian - Blue Bi Clour (from Tiffany & Grayson) are my 4 Stud boys, and they have produced stunning kittens.